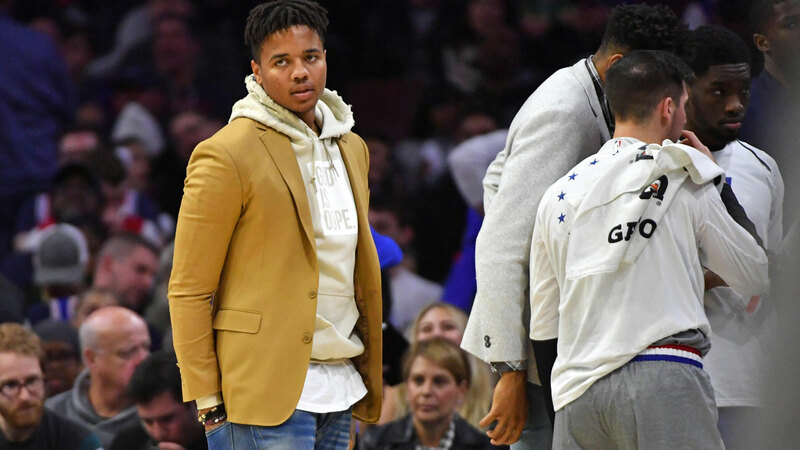 As 2017 No.1 pick Markelle Fultz recovers from thoracic outlet syndrome (TOS) after the guard’s agent and the Philadelphia 76ers agreed he shouldn’t play or practice participate until the problem is fixed, a new report has shed some light on the 20-year-old’s life behind the scenes and how that may have contributed to his struggles. 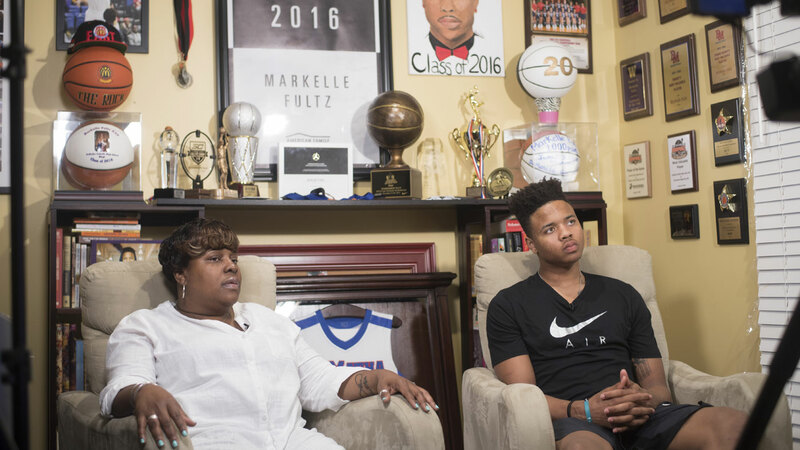 According to a report in the Washington Post, Fultz’s mother, Ebony, has gone to extreme lengths to “protect” her son, even setting up cameras in his house as well as asking those around him to sign nondisclosure agreements. “Fultz is now a professional on a four-year contract worth $33 million, but close associates said Ebony still goes to great lengths to shield him. 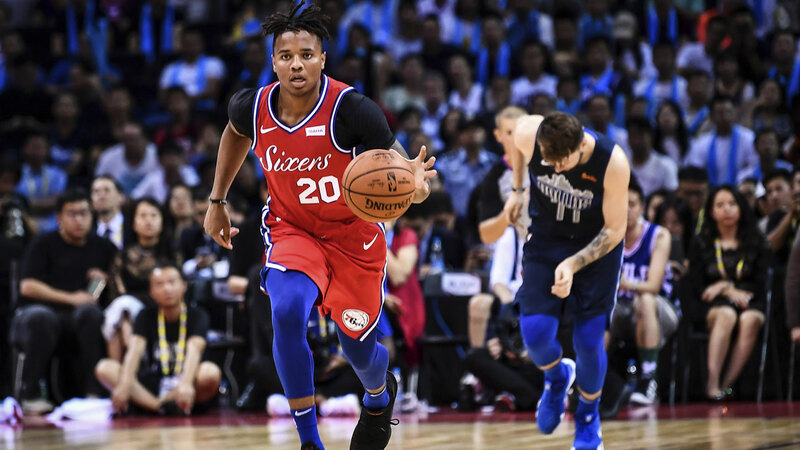 "During Fultz’s first season in Philadelphia, Ebony had cameras installed inside his New Jersey home, according to several people familiar with the setup who described the indoor surveillance as unusual,” wrote The Post’s Candice Buckner. And apparently Fultz’s overbearing mother has ticked off those around the NBA player, with one source saying her antics are having a negative impact on the player’s mindset. ‘There’s definitely crazy (expletive) going on with the mom and how involved she is and how overprotective she is,’ the person close to Fultz told the Post. With Fultz going through his injury issues to start his NBA career, many have criticised his mother’s reported actions, claiming they’re not helpful for her son’s life or career. Fultz played just 14 games last season because of a shoulder injury that appeared to affect his shooting stroke and lost his starting spot in the rotation when the Sixers traded for Jimmy Butler. The 76ers are reportedly listening to offers for a trade but no team has put an attractive deal through for Philadelphia, with the club rejecting multiple requests. Fultz is averaging 8.2 points, 3.1 assists and 3.7 rebounds and is shooting 42 percent from the field.